The event, which will take place at the Hotel Colonades, Ikoyi, Lagos by 11 a.m, is being organized by Kings Communications Limited, publishers of MMS Plus Newspapers, in collaboration with the Federal Ministry of Transport. the Minister is the Keynote Speaker, while a former Minister of Industry and ex-President of Manufacturers’ Association of Nigeria(MAN), Chief Kola Jamodu is the Guest Lecturer. Foremost Shipbuilder and President of the Ship Owners Association of Nigeria (SOAN) Engr. Greg Ogbeifun, is to chair and moderate the event, featuring an array of maritime technocrats as panel of discussants. The discussants are Otunba Kunle Folarin, Chairman, Ports Consultative Forum; Barr. (Mrs.) Margaret Orakwusi,Chairman, Ship Owners’ Forum; Barr. Emeka Akabuogu, Chief Convener, Oil and Transport Logistics, Africa (OTL) Conference and Exhibition. The forum will also feature the decoration of the Nigerian Shippers’ Council(NSC) as the best Maritime Agency of the Year 2015, an honour conferred on it by an industry-wide poll with 73 per cent in its favour, 17 per cent were indecisive, while 10 per cent settled for the Nigerian Ports Authority(NPA). The Nigerian Maritime Administration and Safety Agency (NIMASA) and the Maritime Academy of Nigeria (MAN), Oron had no score in a poll of 105 respondents, conducted by Kings Communications Limited, within a duration of six months. Justifying the need for the Lecture at this time of the industry history, the leader of the organising team, Mr Kingsley Anaroke, said, “The maritime industry and the transport sector have been under attack of bad leadership, which has eroded the benefits of transportation to the economy. “We are therefore calling on Nigerians and transport sector operators in particular to join the campaign for good leadership in the sector, especially against the prevailing practice of having square pegs on round roles with the concomitant consequences of vision derailment, looting of funds, human and material resources under-utilization, among others. 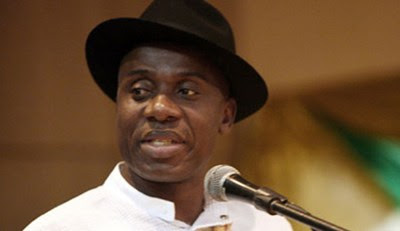 “This initiative is also in sync with the ‘Change Agendum’ of the Federal Government, aimed at bringing a new leadership orientation and maximizing the available resources for the greater happiness of the people, a mission Amaechi has hit the grounds running with since made the Minister of Transportation,” Anaroke added. He said that the recognition for the NSC as the best maritime agency was an idea founded on research, aimed at creating a performance enhancement and reward system to bring out the best in the leadership of the transport agencies in Nigeria. Anaroke said that was especially so against the background of the alleged misappropriation of funds by some past leadership of some of the agencies, in addition to clear cases of non-performance and outright abandonment of statutory duties for shadow-chasing. He said the outcome of the brain-storming session should be a compass for the government’s future leadership choices in the industry and the expectations of the leaders as well as how the people can hold them accountable by measuring their performances.